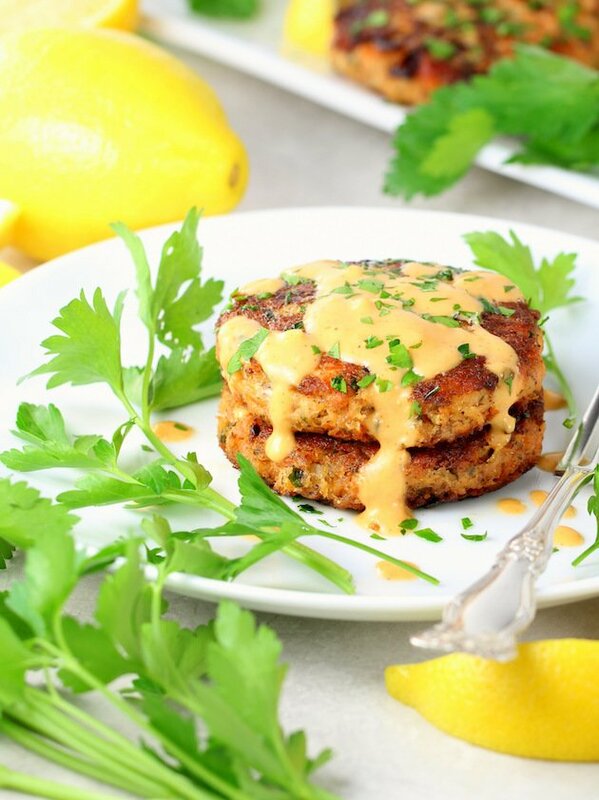 This Salmon Patty Recipe is just so delicious! 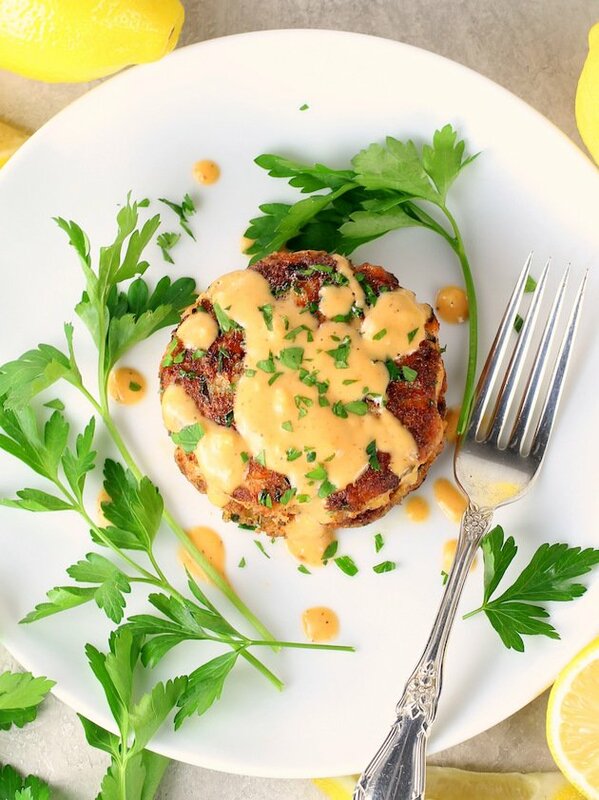 With fresh salmon, Dijon mustard, lemon juice, fresh parsley, egg, almond meal (or bread crumbs if you prefer)…. 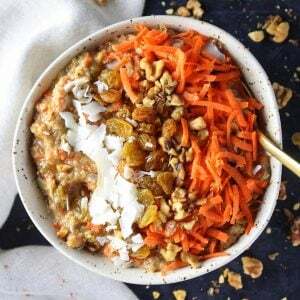 It’s gluten-free, low-carb, packed with flavor, and full of all kinds of healthiness. Plus, they’re great for freezing, and perfect for meal prep! Recently my FIL gave me the nicest compliment. 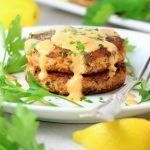 We were all talking about my Jalapeno Cilantro Tuna Cakes and how popular the recipe is – it’s been shared over 1 million times on social media and not a day goes by without people visiting the blog for that recipe. 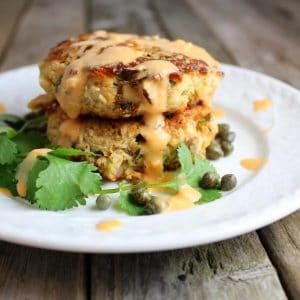 I think the whole fish cake talk reminded FIL of another recipe of mine he’d had before because he then announced “well, your salmon patty recipe is the best I’ve ever had.” Aww shawks – really!? Super nice – right!? That’s what I said. But of course he had to remind me, “he wasn’t being nice he was being honest.” Still really, really nice though. Thanks FIL! So of course I had to do what any loving food blogging daughter-in-law would do – I made them for him. I mean, that’s just the right thing to do. And they were as yummy as ever! Back many years ago when I created them, I made it a salmon croquette recipe and served the cakes over a salad. Soo delicious! 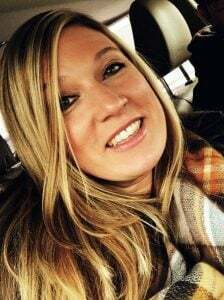 But then one year during the holiday season, we were throwing our annual Christmas bash, and I needed a finger-food protein to add to my appetizer line-up. I already had shrimp cocktail on the menu ‘cause everyone knows you can’t have a holiday party without shrimp. I didn’t really want to serve meatballs because I was looking for something a little fancier and on the healthier side. 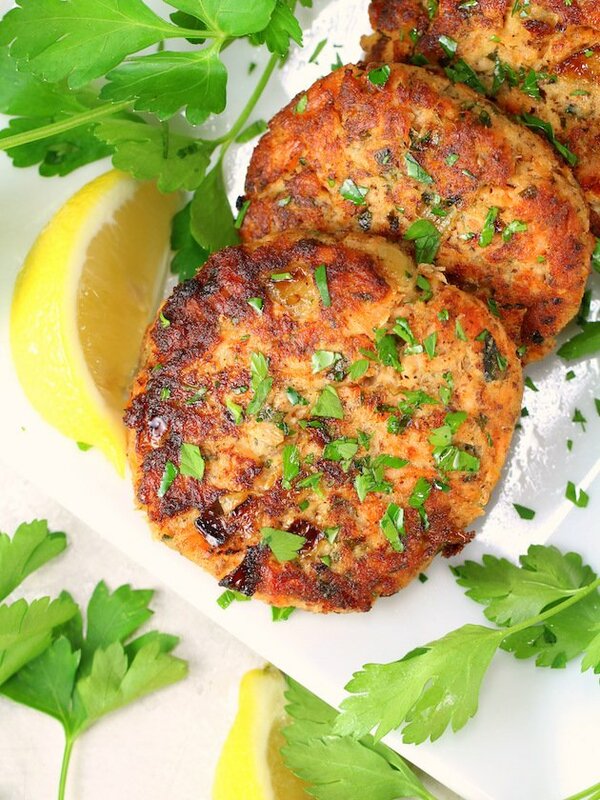 Then the clouds parted, I saw a bright light, angels started singing (ok that was me)… and one of the best recipe ideas ever popped into my head – Mini Salmon Cakes!! Brilliant!!! You can whip up a batch and freeze them before baking, then pull them out and bake whenever you need them. Annnnd I serve them with the most delicious Sriracha Aioli – sooo good people! So fast forward to today, I’m finally putting these yummy fish cakes on the blog… cue the Mariachi singers and drum roll please… I give you my terrifically tasty Salmon Patty Recipe! Don’t they look ridiculously delicious!?? They really are my friend! I have very little self-control when it comes to these beauties. And I guess that’s not really a bad thing – right? I mean salmon is really good for us. Annnd these cakes are gluten-free and low-carb. I’m not sure it gets any better than that!! First, you bake a fresh salmon filet at 400 degrees for 10-15 minutes, then let the salmon cool completely on the kitchen counter. 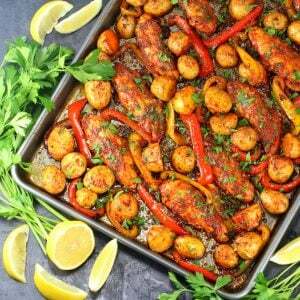 (By the way I haven’t found many “leftover salmon recipes” but this recipe would actually work quite well if you found yourself with a lot of extra baked salmon on hand). While that’s baking you can prep your other ingredients. Start by finely chopping half a large yellow onion and sauteing until it’s soft and translucent. Then set it aside to cool. Chop up your parsley and gather the rest of your ingredients. 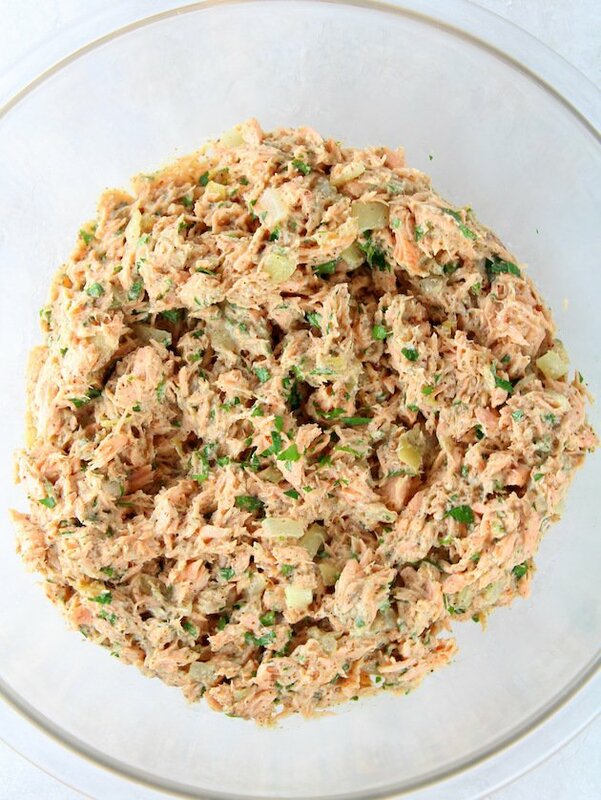 Place the salmon filet in a large mixing bowl (discard any excess liquid off the fish if there is any). Now flake the salmon into small pieces with a fork. Add the rest of your ingredients and mix really well. Using a 1/3 cup dry measuring cup, scoop and pack the fish mixture real good. Now plop it into your hand, flatten slightly and form it into a patty. I like to lay mine out on a parchment-lined baking sheet as I go. At this point you have several choices. Option 2: Bake salmon patties in a 400 degree oven for 15 minutes and then broil them for 1-3 minutes to give them a golden color. Option 3: This one is definitely my favorite, ‘cause, well, instant gratification and all: Fry in a hot non-stick pan with olive oil over medium-high heat for 2-3 minutes a side. I like to get them crispy and golden on the first side so I usually cook them for 3 minutes, then flip for 2-3 more depending on their color. What about you – which option would you choose? 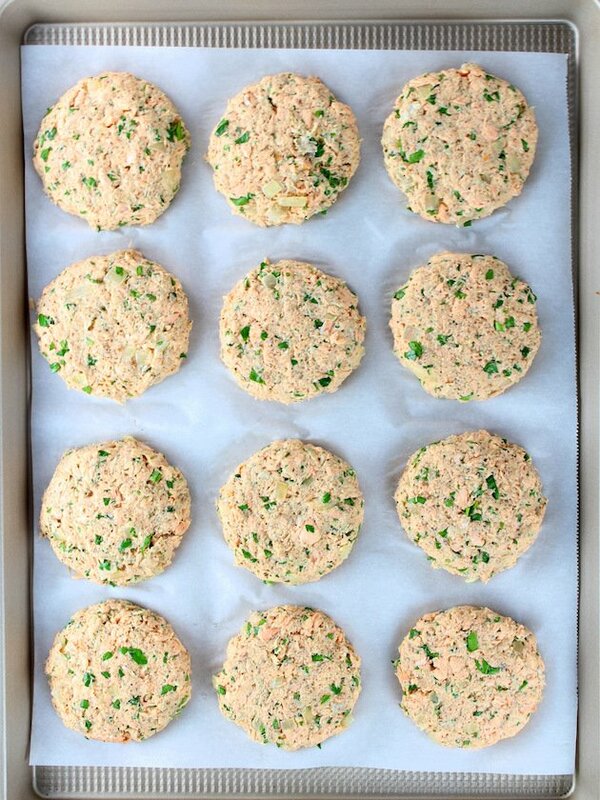 Regardless, you can’t go wrong with these healthy and delicious salmon patties! Reason 1: This recipe makes 12 cakes so you can meal prep your lunches for an entire week. Reason 2: They’re freezer friendly! You can freeze them either before or after you sauté the cakes. Reason 3: They’re great for batch cooking! 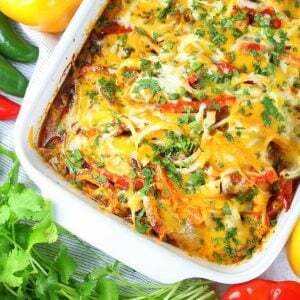 You can make up several batches – freeze one for dinner next week and serve one now. Reason 4: It’s such an easy recipe the kids can help too! 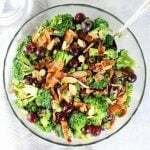 This is a terrific recipe to get your kiddos involved in. Plus, it would be a great sensory development exercise for them. Reason 5: They are sooo healthy! 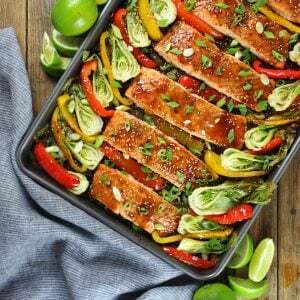 Salmon is a superfood – one of the best sources of long-chain omega-3 fatty acids. Plus, I’ve mentioned this before, they’re gluten-free and low-carb if you use almond meal like I did. 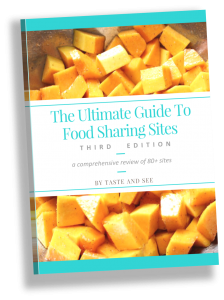 Reason 6: Great for picky eaters! 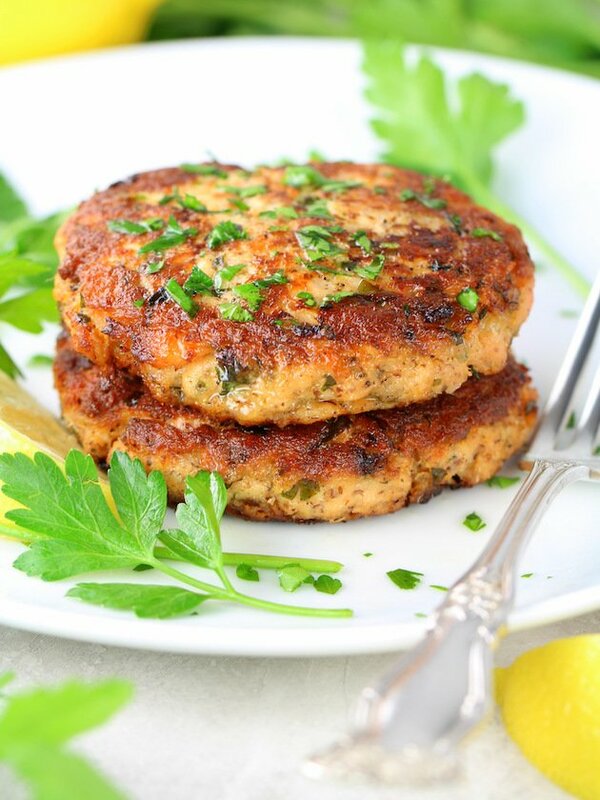 People who say they don’t like salmon will like these patties. Trust me I’ve actually seen this unfold firsthand. Ok – I’m cutting myself off because this could possibly be the longest blog post I’ve ever written. Sorry – I just have so many words! And just so you know, because of that I did install a “jump to recipe” button for those of you who would rather just skip down to the good stuff. Again sorry – Guess I should have pointed that out first, in case you missed it. Bygones! 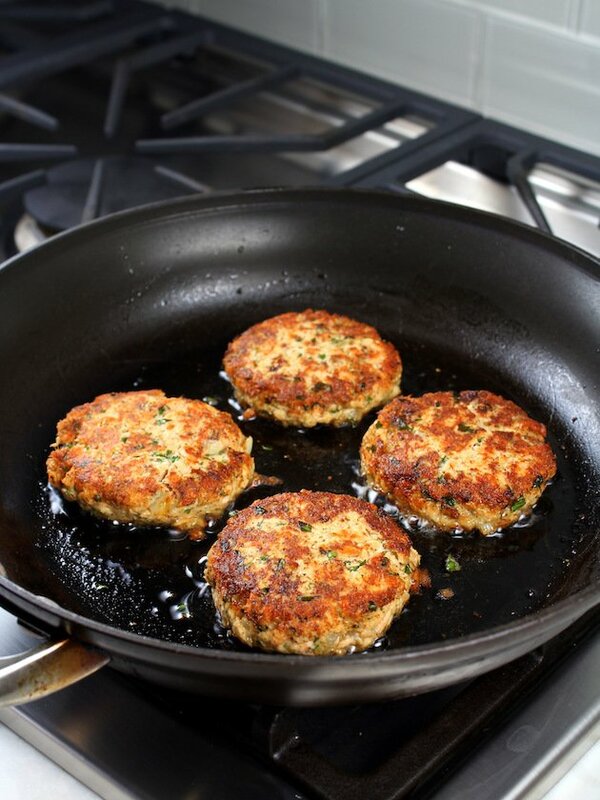 There you have it my friend, one of my favorite and most delicious recipes ever – Salmon Patties! Enjoy! 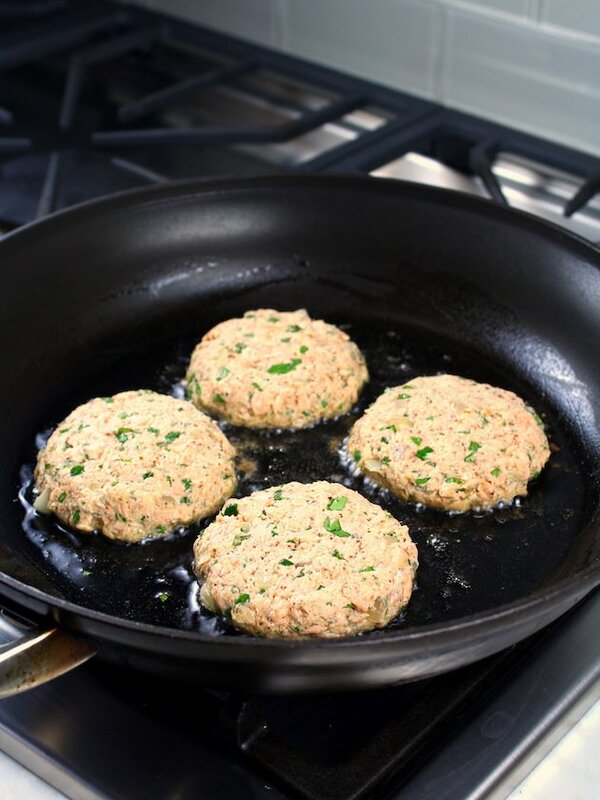 This Salmon Patty Recipe is gluten-free, low-carb, packed with flavor, and full of healthy ingredients. Great for freezing, and perfect for meal prep. 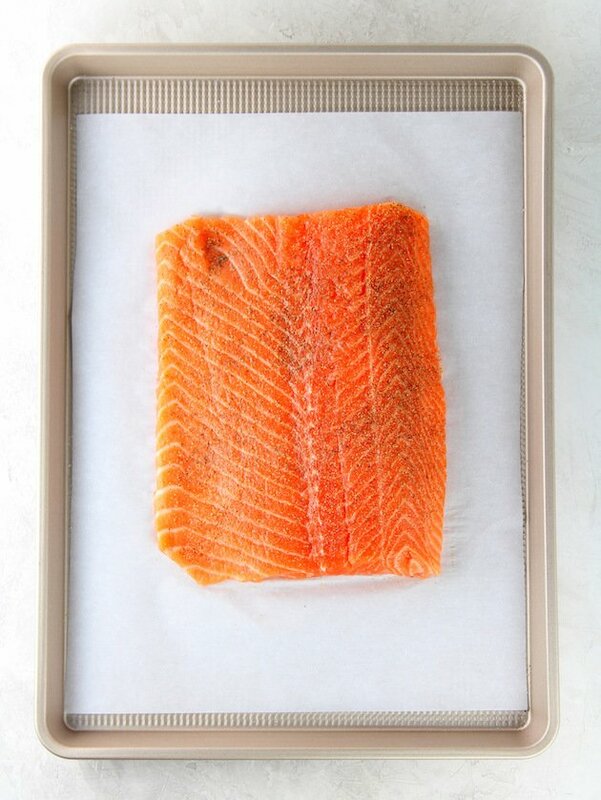 Place fresh salmon filet on a parchment-lined baking sheet and season it with salt and pepper. 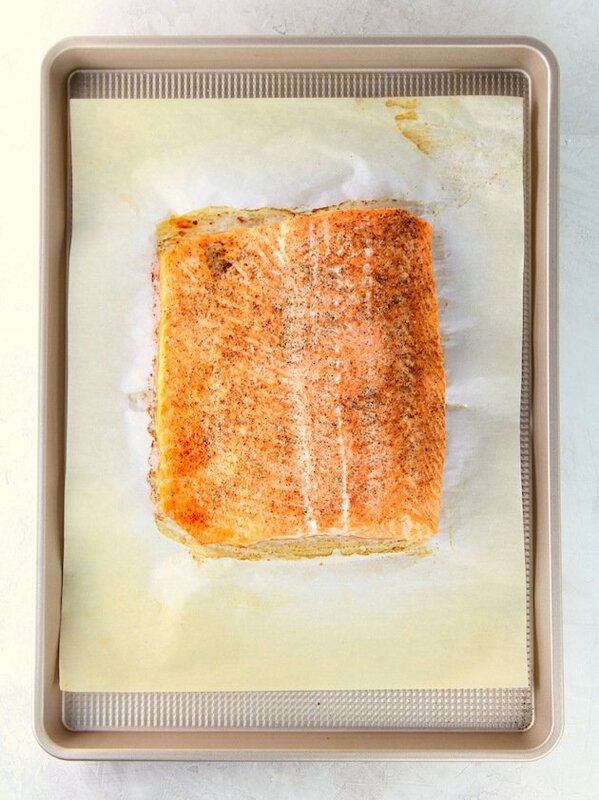 Bake at 400 degrees for 10-15 minutes, then cool salmon completely on the kitchen counter. 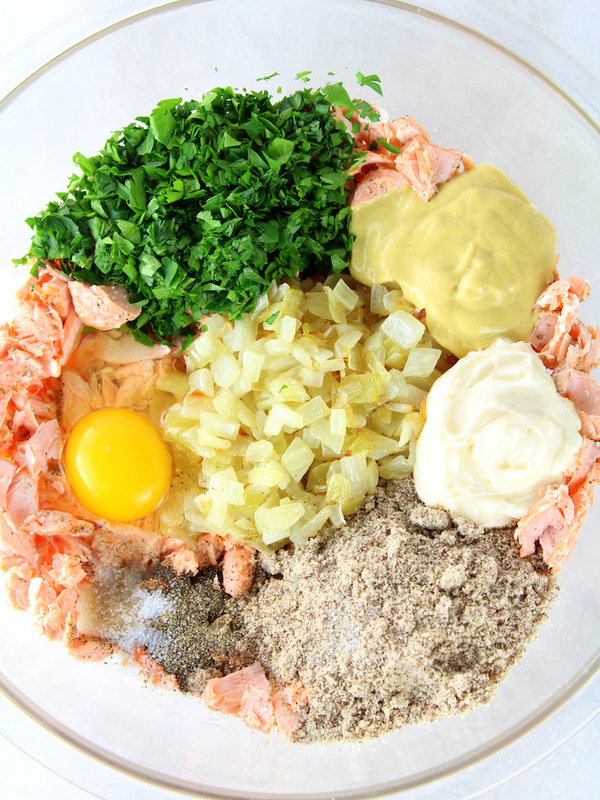 While the salmon is cooking make the aioli by combining all ingredients and whisking thoroughly. Chop half a large yellow onion and sauté until it’s soft and translucent, about 6 minutes. Set it aside to cool. 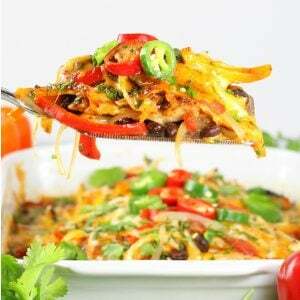 Place cooked salmon in a large mixing bowl (discard any excess liquid off the fish if there is any). Now flake the salmon into small pieces with a fork. Add almond meal, parsley, cooked onion, Dijon, eggs, and lemon juice, then mix really well. Using a 1/3 cup dry measuring cup, scoop and pack the fish mixture. Turn the cake out into your hand, flatten slightly, and form it into a patty. 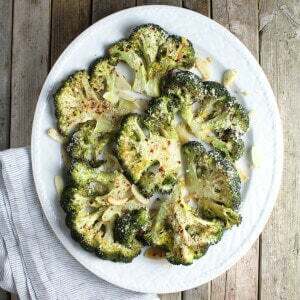 Lay them out on a parchment-lined baking sheet as you make them. Holly these are still the absolute best salmon cakes ever made….really. The only problem is that you only left me six of them in the freezer after your last visit. If you had a Pub, people would stand in line outside in the rain for them!! Aww thanks, FIL!! Good idea – I’ll get right on that pub thing. I’ll need a prep chief – are you available??? 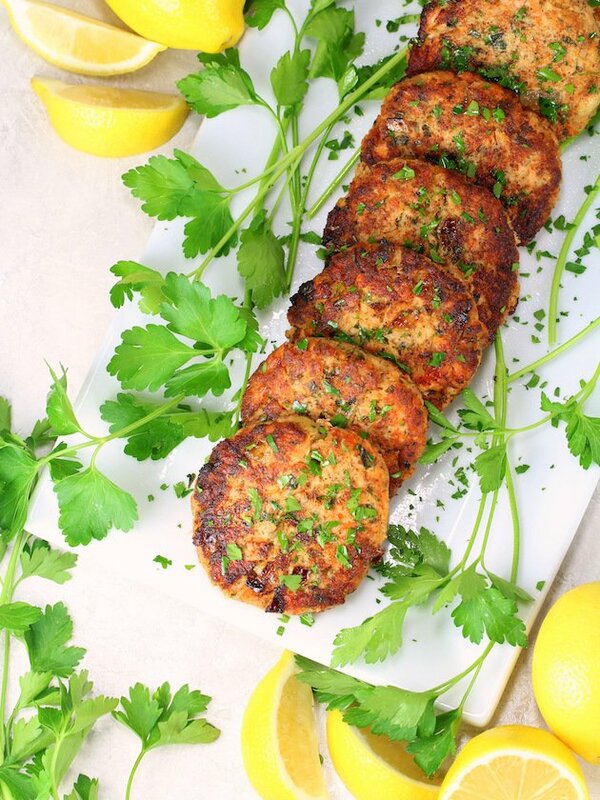 These Salmon Patties look and sound divine!! Thanks for sharing 🙂 I was wondering if I could use canned Salmon instead of fresh? Hi Elizabeth! Thanks so much for your kind words! I’ve never made them with canned salmon but I’m sure you could. I would just be sure to drain the liquid from the canned salmon. Good luck! Canned salmon works good too, Dianne.